Punta Borinquen, Puerto Rico Approved at the 11th World Surfing Reserve! Read the official LSC press release. Davenport, Calif., (December 20th, 2018) – Save the Waves Coalition is proud to announce that Punta Borinquen, Puerto Rico has been chosen as the next World Surfing Reserve (WSR). WSR, a program from California-based Save The Waves Coalition, proactively identifies, designates and preserves outstanding waves around the world. The program serves as a global model for preserving wave breaks and their surrounding areas by recognizing and protecting the key environmental, cultural, economic, and community attributes of surfing areas. Punta Borinquen World Surfing Reserve will consist of eight kilometers of coastline between Crash Boat and Surfers/Survival Beach. These surf breaks offer several world-class waves. Olita, a Puerto Rican non-profit that works to help families break the poverty cycle, recruited and organized a team of experts in the fields of each selection criterion for the WSR. This interdisciplinary team formed the Local Stewardship Council (LSC) that consisted of professors, students, local entities, NGO’s and local veterans of the surf and outdoor industries. The LSC’s job was to create the most complete and profound application for the WSR. The Puerto Rican House of Representatives recently recognized, celebrated and endorsed the Punta Borinquen World Surfing Reserve project. Punta Borinquen will be dedicated as the 11th World Surfing Reserve in the spring of 2019 where Save The Waves will work with the LSC on long-term conservation through outreach and planning. LSC is open to adding new community members through the planning process. Patagonia ambassador and local environmental activist Otto Flores, will become the Punta Borinquen WSR ambassador. Puerto Rico (PR) produces some of the biggest and most consistent surf in the Caribbean, and its northwest coast is home to some of the island’s most treasured surf spots. Specifically, the 8 km stretch of coastline between Crash Boat and Surfer’s/Survival Beach in Aguadilla (hereafter referred to as Borinquen), is lined with about a dozen world-class surf spots. This coastline is littered with rock and coral reefs that produce a wide variety of waves, many of them fast, hollow and powerful. Borinquen has a broad swell window owing to its convex-shaped coastline anf offshore bathymetric features. The area is well exposed to NW-N-NE swells generated by strong North Atlantic storms, tropical cyclones and local trade winds. The average surf season runs from late September through May, and brings about 20 to 30 swells with wave heights ranging from 3-20 ft. The most consistent breaks in the region pick up both windswell and groundswell, and see over 300 days of rideable surf (breaking wave heights > 3 ft) per year. The north end of the region is home to Aguadilla’s most consistent break, Surfer’s Beach, which offers long rights and quick, steep lefts for surfers of all levels. The north end also offers PR’s most infamous slabs: Table Tops (Backdoor), and Survival Beach – wave of consequence for advanced surfers. Further west, Wilderness can handle massive swells, earning the “big wave spot” title in Borinquen. Under moderate swell conditions, Wildo’s wide playing field and long clean wall make it a longboarder’s paradise. The surf becomes more fickle as the coastline bends southwest around Pr. Borinquen, but on solid NW swells a series of shallow reef breaks (e.g. Wishing Well Manglito, and Gas Chambers) dish out some of the PR’s finest right hand barrels. Here, the northwest tradewinds blow offshore and groom the surf to produce some of the best waves on the island. On the south end, Crash Boat delivers bowly rights line-up over a sandy bottom. The coastal natural assets of the Northwest region have been key contributors to the development of its coastal communities. The same “wind protected” characteristic that makes Punta Borinquen a surf paradise drove the Spanish colonizers to construct a port in what was known as “North Aguada” during the 17th century. Since then, the fortunes of the Aguadillan coast have paved the way for the cultural and economic growth that the area has experienced until the present. From surfing, to diving and fishing, littoral residents have been able to develop businesses around hospitality, gastronomy, and recreation. The US military presence (est. 1939 -1973) made much, if not almost all, of the Punta Borinquen coast inaccessible to everyone but the military, something that has served as an obstacle for ecological and cultural research. But recently, the notorious Playuela case revealed two examples of valuable cultural assets yet to be investigated by the Institute of Puerto Rican Culture : 1) the cultural heritage associated with the water wells in Playuela, which are thought to date back to the 1800s; and 2) the findings around Wilderness Beach by local restoration organization Rescate Playas Borinquen, which are believed to be clay deposits left by our indigenous natives, the Taínos. The Taíno presence in Borinquen does not come as a surprise since Christopher Columbus entered Borikén, as called by the Taínos, through Aguada-Aguadilla (though this is still disputed) and is thought to have encountered the Taínos of the Aymamón settlement. These preliminary findings have peaked the interest of the Institute of Culture, and present an opportunity to develop collaborative efforts for the enrichment of our cultural heritage. Discussions regarding the valley of Playuela (which covers around one fourth of the proposed Surf Reserve area) have grown recently in nationwide significance. Local activists, environmental organizations and PR’s most prominent pro surfers have all come out against the urbanization of Playuela. Playuela is seen by many as the possible deviation from the concrete cancer that sickens our island. The movement has garnered extensive local and international support — what started as a grassroots battle against the unsustainable expansion of the hotel sector has now turned into a united front for the preservation of our natural treasures. The story has made numerous local headlines and has been featured in a series of articles by Surfline, Surfer Magazine , and the National Geographic . A change.org campaign calling for the designation of a Natural Reserve in the area has gathered the support of more than 30,000 petitioners. Borinquen is one of the few undeveloped coastal spaces remaining on the island. Along its length, the coastline features steep cliffs and pocket beaches between intermittent outcroppings of karst. A verdant coastal plain dotted with patches of dense coastal forest runs adjacent to the jagged coastline. 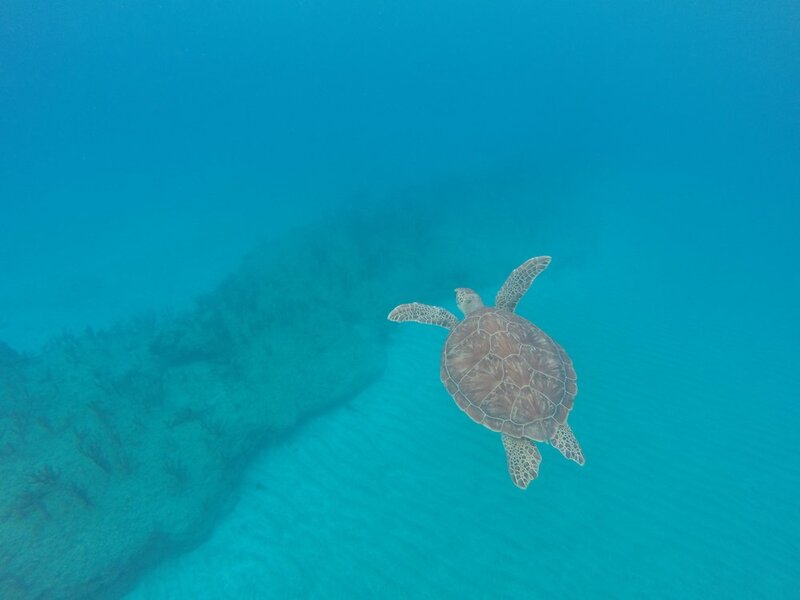 Borinquen’s ecosystems is home to many migratory birds and several endangered species, e.g., the green (Chelonia mydas) and hawksbill (Eretmochelys imbricate) sea turtles, the Elkhorn coral (Acropora palmata), the Puerto Rican native hat palm tree (Sabal causiarum), and the West Indian Manatee (Trichechus manatus). Several unique habitats provide refuge to an abundance of endemic species, including 30 bird species. These lands contribute significantly to the global persistence of biodiversity at the species and ecosystem level. Indeed, the coastal resources of Borinquen extend beyond its world-class surf spots. The coral reefs also provide environmental and economic benefits to the local community. For example, coral reef ecosystems provide essential fish habitats, protect the adjacent shoreline from erosion, and support snorkeling, diving, and recreational fishing. Local commercial fishermen rely on these reefs for income. Furthermore, the coastal zone of Borinquen is of great interest to educators and to the scientific community. The karstic drainage basin of Borinquen acts as a natural filter for runoff, and supplies nutrient-rich groundwater to the adjacent nearshore waters. 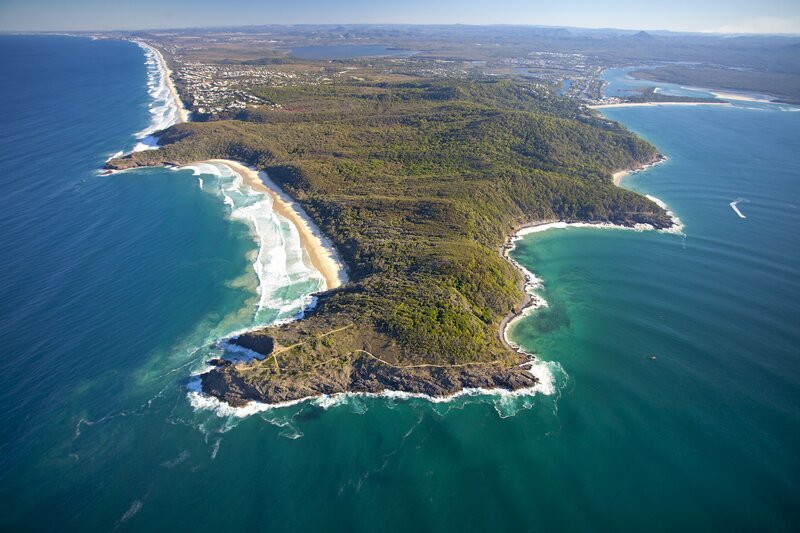 Coastal seepage of groundwater is vital for coastal biogeochemical processes, hydrological cycles, and marine ecosystems. Borinquen’s beautiful landscapes and sandy beaches attract eco-tourism to Aguadilla and to other Northwest municipalities of Puerto Rico. These lands provide inspiration and a sense of place to the people. The establishment of the first World Surfing Reserve in the Caribbean would give PR the opportunity to further develop surf tourism as a key strategic investment and sustainable economic driver. Moreover, a WSR designation would help mitigate urban expansion pressures in Borinquen and other coastal locations in the region. As the Puerto Rican government looks to boost tourism in the aftermath of Hurricane Maria, the WSR designation represents a timely opportunity for a low-cost, sustainable investment that can provide huge long term returns. The goal of the Local Stewardship Council will be twofold: 1) to empower the local community to generate public pressure to enact measurable conservation outcomes through legislation, and 2) to demonstrate through empirical data the contribution of the Punta Borinquen WSR to Puerto Rico’s economy. 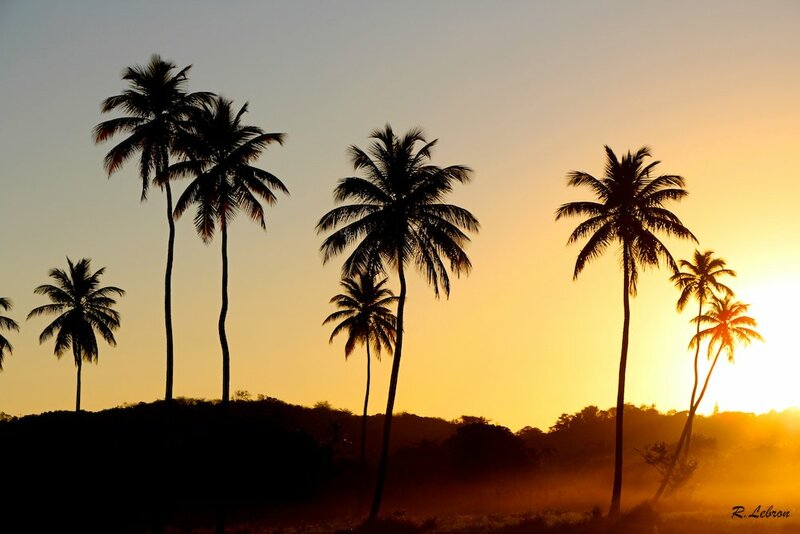 The Stewardship Council will strive to highlight Punta Borinquen’s WSR role in the transition of Puerto Rico’s economic depression to an economy in recovery, and subsequently, to a growth economy. The Local Stewardship Council will aim to make Punta Borinquen Surfing Reserve the most Productive and accessible surfing reserve in the world, something we are going to measure with tangible metrics and a rigorous evaluation criteria. A high-end interactive website and mobile app will allow us to convey to the public the outcomes of the Borinquen WSR with full transparency. The public will be able to keep track of our evaluations, and, in no more than three clicks will be able to get involved and participate, being community involvement and access a core value of our work. In short, we will compete to achieve, and inspire, sustainable growth. 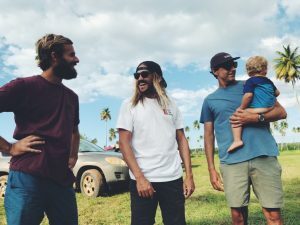 The Punta Borinquen World Surfing Reserve will implement a Stewardship Plan shortly after the official announcement and formation of the WSR status. Check back for more resources soon.